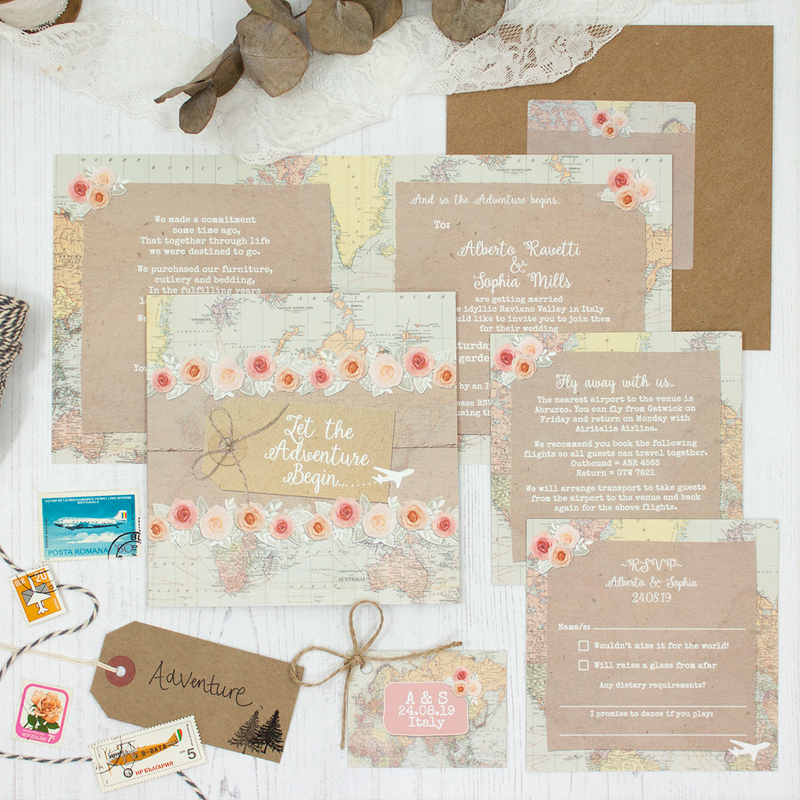 Wedding invitation sample pack including an RSVP, info card, string and tag, envelope and label in the Adventure Collection design. For those that love to explore and travel. 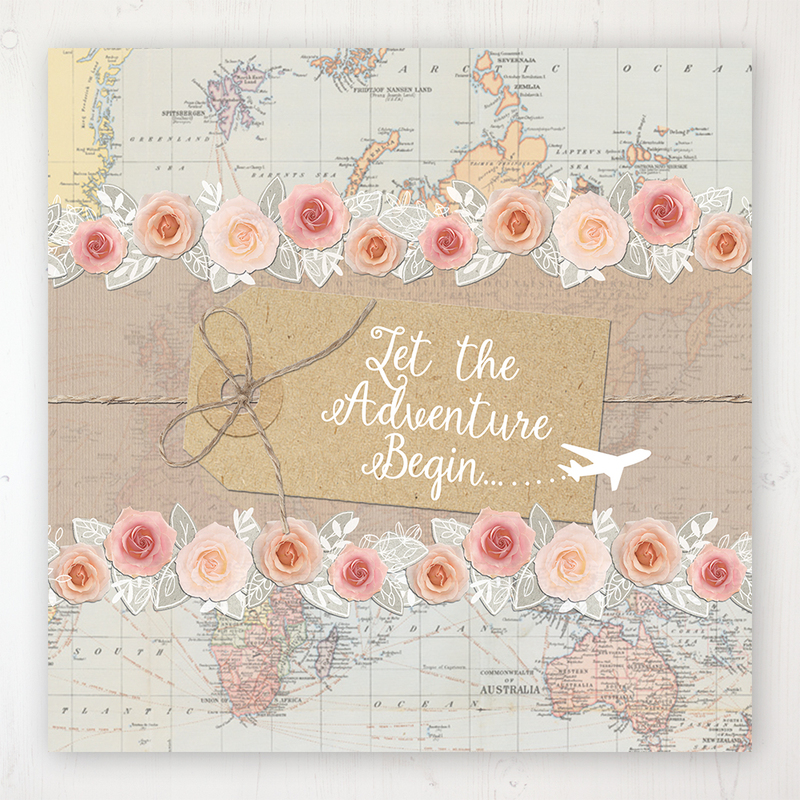 Whether you’re jetting off to tie the knot in sunnier climes or having a travel inspired wedding closer to home. This collection evokes a sense of adventure with a world map and plane; the world is your oyster. Adding a sense of nostalgic travel with brown paper packages tied with string and a luggage tag, all adorned with some pastel flowers for extra prettiness!